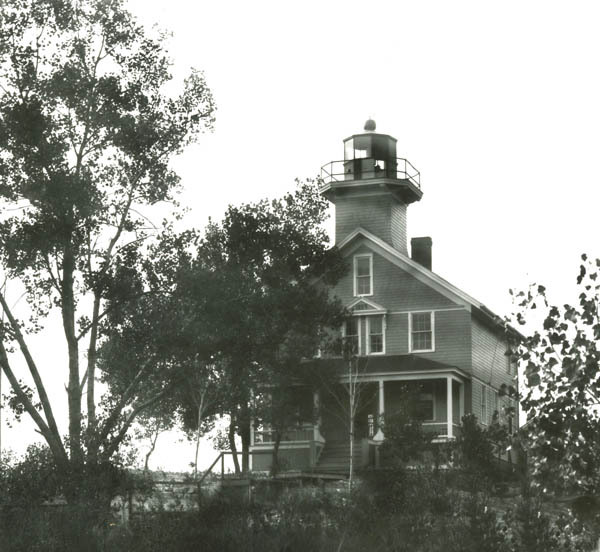 Miscellaneous: 1950'S LIGHTHOUSE DESTROYED BY A TORNADO. SOME SALVAGED PARTS USED TO CONSTRUCT MODERN SUMMER RESIDENCE. 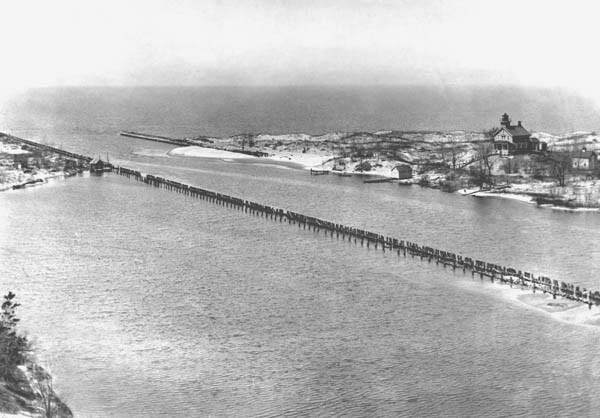 Showing the river entrance and pilings used to mark the entrance channel. 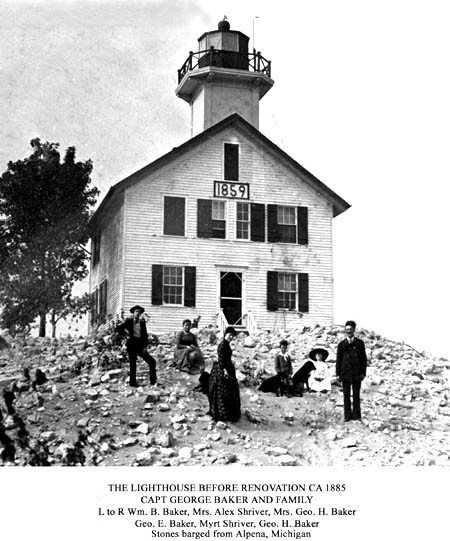 A later view of the lighthouse after remodeling some with a new front porch.